The Home Decorators Collection's VIP program has been developed to set a new standard for customer experience. Our team's commitment is to ensure you and your customer will receive the highest level of quality in both product and service. 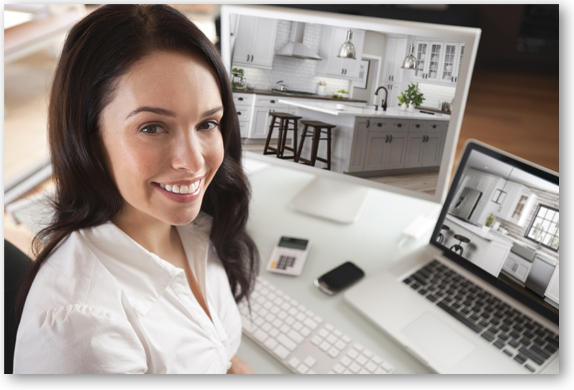 The Home Decorators Collection's VIP program has been developed to set a new standard for customer experience. Our team's commitment is to ensure you and your customer will receive the highest level of quality in both product and service. 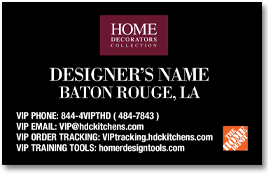 Registered Designers will receive a personalized VIP Membership Card with the exclusive customer service number 844-4-VIP-THD (844-484-7843) and email address VIP@HDCkitchens.com. All calls and emails are directed to our dedicated support team, available Monday - Saturday 9:30am - 6:00pm EST. As a VIP Designer, your customers will also receive a VIP Card with their order. It will be personalized with their name, PO number, our order tracking site, and the VIP phone number. The VIP Card also provides direct access to our Customer Service Team, with our goal to resolve any customer issues directly, without interruption to your day. information needed quickly and easily.